This feast day is commemorates the dedication of the Cathedral of Our Lady of Coutances, by Bishop Geoffry de Mombray, in the year 1056. Coutances, once known as Cosedia when it was the capital city of the powerful Unelles tribe, it was conquered by one of Julius Caesar’s generals in the year 58 BC. The city’s name was changed to Coutances in honor of the Roman Emperor Constantius Chlorus. Due to its strategic location, it quickly rose to a place of great significance in the Empire. 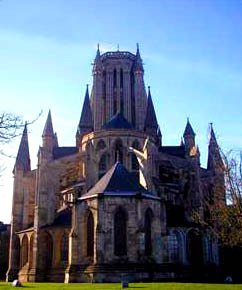 According to tradition, the knowledge of salvation came to Coutances in the 5th century through Saint Ereptiolous. It is known that he built a church on the site where there had once been a pagan temple. After the destruction of the Western Roman Empire, Coutances suffered from invasions by the Scandinavians and Normans in the 9th century. The church was razed, the city abandoned, and the bishop forced to flee for safety to Rouen. 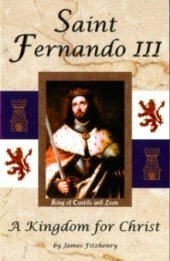 They did not go back to Coutances until nearly one hundred and sixty years later, when they returned with the assistance of Duke Richard the Fearless. In the year 1030, Bishop Robert began the construction of a new cathedral, Our Lady of Coutances, which was begun in the Romanesque style. He died shortly after the labor of love had begun, and it was left to Bishop Geoffry de Mombray, who had been appointed in 1048. He completed the cathedral in the year 1056. Bishop Geoffry was a close companion to William, Duke of Normandy, and so invited him to attend the consecration of the cathedral that year. Ten years later, the bishop would accompany the Duke of Normandy to England, where William conquered the island and earned the title of William the Conqueror. A short time later he assisted Ealdred, the archbishop of York, at the coronation ceremony that took place in Westminster Abbey. Bishop Geoffry came from a wealthy family, who generously gave to the prelate for the good of the Church, while also providing much of the funding for the cathedral. Before the bishop was finished with the construction, he had added two towers nearly 100 feet tall to the west end, and a central tower that was famed for its gilded rooster. Bishop Geoffry died of old age in the year 1093. 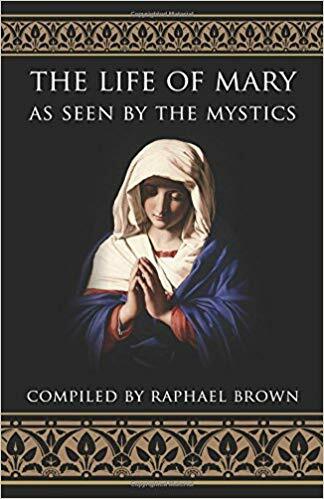 A masterpiece that combines the visions of four great Catholic mystics into one coherent story on the life of the Blessed Virgin Mary. Based primarily on the famous revelations of Ven. Anne Catherine Emmerich and Ven. Mary of Agreda, it also includes many episodes described in the writings of St. Bridget of Sweden and St. Elizabeth of Schenau. To read this book, therefore, is to share in the magnificent visions granted to four of the most privileged souls in the history of the Church. 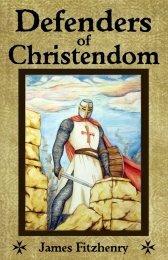 In complete harmony with the Gospel story, this book reads like a masterfully written novel. It includes such fascinating details as the birth and infancy of Mary, her espousal to St. Joseph and her Assumption into Heaven where she was crowned Queen of Heaven and Earth.